Profit-sharing plans are based on a particular formula for distributing money to employees. Profit-sharing plans are incentive-based benefits that pay a portion of the profits that a company earns to the employees. Generally, these plans work as part of a retirement plan, to supplement any contributions that employees make as well as matching employer contributions. Money your company places in a profit-sharing plan is generally yours to keep, with a few exceptions. Most-profit sharing plans are set up as defined-contribution pension plans, similar to a 401(k) account. 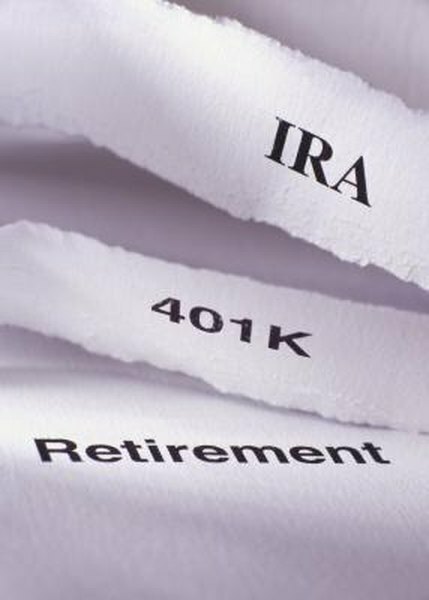 Money in these accounts is subject to the same rules as a 401(k) plan, including provisions for taxes and penalties on early withdrawals by employees. With these plans, an employer cannot withdraw money it has previously contributed. The tax-deferred type of profit-sharing plan also provides tax benefits to the employer. A company has flexibility in creating its profit-sharing plan and can create the plan that best works for the company. In doing so, some companies will base the profit-sharing plan contributions on the company's available cash flow. While a company can show a profit that should allow it to contribute to its plan, lack of available cash flow may prevent that normally scheduled contribution. If the profit-sharing plan is held in an account outside of a defined-contribution retirement account, a company could conceivably draft terms in its plan allowing it to withdraw the money it previously contributed to cover cash-flow shortages. Such cash-flow arrangements would be extremely unusual, because this would have a detrimental effect on employee morale. In addition, profit-sharing plans held outside of tax-advantaged defined-contribution plans would not provide helpful tax benefits to the employer. Employers can establish a vesting schedule for profit-sharing plans. Vesting means that you receive the full benefit of the contributions after you have worked for the employer a specified amount of time. Common vesting periods are three to five years, and some plans allow for you to vest at a higher rate each year you are employed. For example, you may be 50 percent vested at three years, 75 percent at four years and fully vested at five years. If you leave employment before the vesting period is up, you will lose some of the employer contributions to the plan. Profit-sharing plans are elective contributions by your employer, according to the plan. The plan may be based on the company achieving certain profit goals, or it can be completely discretionary based on the decision of your employer or the board of directors. With these plans, you cannot expect a contribution each year, and the amount will vary. Therefore, you need to save for your retirement based on your own goals, and use this money as a supplement to your retirement savings. Why Does My Company Provide Both a Profit Sharing Plan & a 401K Plan?